Garda Capital Group has seen changes to its board, with the resignation of its chief financial officer and the arrival of its new chief operating officer. Leylan Neep, CFO and executive director, has stepped down, leaving the group after six years, while David Addis has joined as the firm’s new COO. 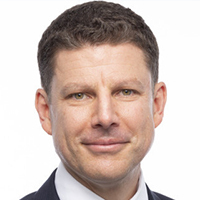 Mr Addis is said to have had 28 years of corporate experience, having worked with organisations including Ernst & Young and PriceWaterhouseCoopers in M&A director roles, at Macquarie Bank in M&A and also in wholesale funds management roles. He was formerly the Queensland head of Investec bank and later the managing director of corporate strategy at Queensland Investment Corporation. “We are delighted to welcome somebody of David’s experience and calibre to Garda Capital Group, and I personally look forward to working closely with David in the continuing successful growth of both Garda Capital and the Garda Diversified Property Fund,” Matthew Madsen, executive chairman of Garda, said.